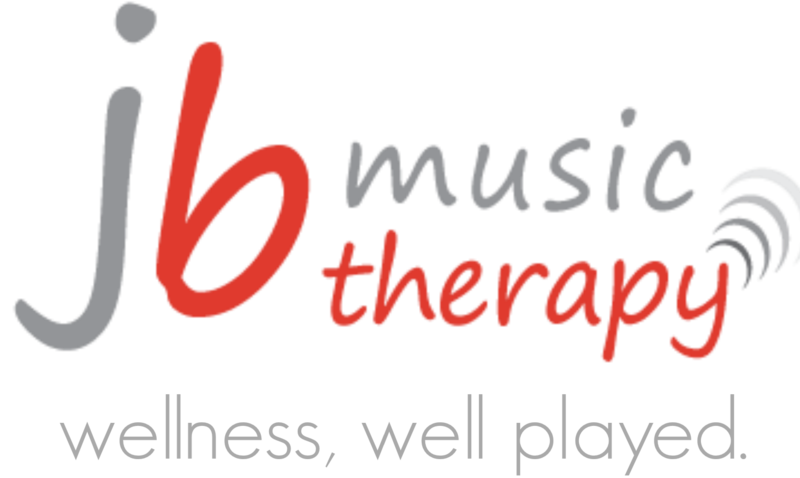 On Friday, August 27th JB Music Therapy hosted a day of continuing education for members of the music therapy community. The day was jam-packed full of an array of speakers and presentations to broaden the scope and resources of more than a dozen music therapists and two interns from the community. The day was funded in part by the Canadian Association for Music Therapy (CAMT) Continuing Education Bursary and a heartfelt thank you is extended to the committee! Monique Heltz-Voight, a sign-language specialist was the first presenter of the day. Monique learned the language as means to communicate with her son Riley, who was born with Goldenhar syndrome, a syndrome that impacts both his hearing and vision. She taught the group of enthusiastic learners basic signs and ways to incorporate this language into clinic work with several populations. Many of the therapists found this to be a highly informative and useful topic as many currently work with clients who use some form of sign language to communicate. Visual aids are an aspect of music therapy work that was also explored in greater detail. This interactive session had the members of the workshop provide examples of their best and most effective visual aid intervention. This was a great way to be exposed to several different methods while having the ability to ask questions regarding alternative applications and adaptations. Many therapists offered to share templates, documents and ideas for further development after the day had finished. Success in Supervision is an on-going process that asks the supervising therapist and supervisee to continually discover ways of improving their working practice. Jennifer Buchanan, BMT, MTA lead an interactive review of this process using role-playing, though provoking questions and group discussion which gave the group further insight into this highly important relationship between supervisor and supervisee. Overall, the continuing education day was highly informative, beneficial and successful. Having the opportunity to continually expand the resources of a professional is invaluable. Again, many thanks to the CAMT Continuing Education Bursary Committee for supporting the efforts of local music therapists in pursuing greater knowledge and resources. ……….This group includes developmentally appropriate music making fun! In this group music therapy techniques will be used to help participants reach their individual goals for memory retention attention and focus mobility and overall feelings of wellness. Join Board-certified music therapist Patti Catalano in this six-session class to explore the power music has for each of us.